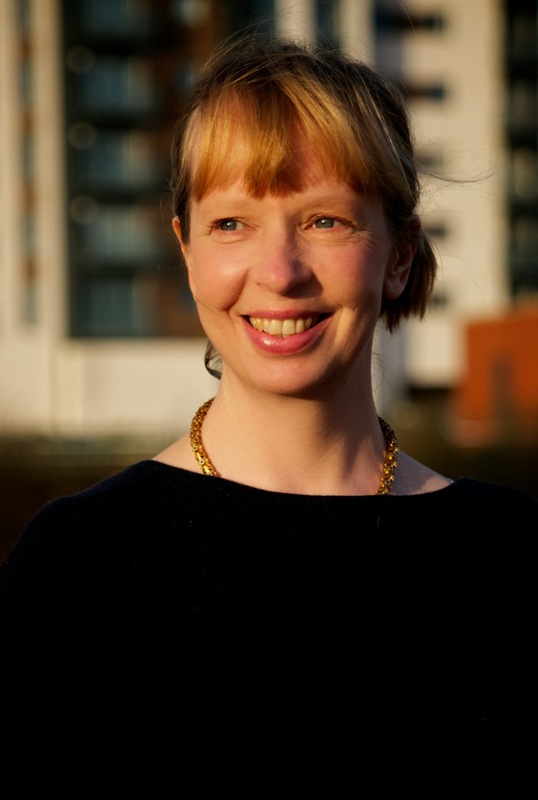 Kate Hamer grew up in Pembrokeshire, Wales, raised on fairy tales in a household full of books. After studying art she worked in television for over ten years, mainly on documentaries. She studied for an MA in creative writing at Aberystwyth University, where she won a prize for the best beginning of a novel. That work became The Girl in the Red Coat, published by Faber & Faber in February 2015, and in seven other territories including Germany and Holland. Kate also won the Rhys Davies short story prize in 2011 and her story “One Summer” was broadcast on BBC Radio 4. Kate has two children and lives in Cardiff with her husband. I began writing when I was a child and never stopped really. My first big break was winning the Rhys Davies Short Story Competition in 2011. This really gave me the confidence I needed to launch into writing a novel. The Girl in the Red Coat was published in February this year and I’ve been touring the UK promoting it. It’s a book that begins with a missing child and is about loss, love, and mothers and daughters. It’s been called a crime book, a psychological thriller, and a domestic noir novel but my favourite description so far is a “twenty-first-century fairy tale.” I’m also writing my second novel, which is a coming-of-age tale with a healthy dose of the supernatural. At the moment very cluttered. I have a pin board to my right with all my chapters on separate strips of paper. That way I can play around with them and swap them – a sort of primitive Scrivener if you like! Behind me and to my right are teetering bookshelves. I have way, way too many books and the cheap shelving isn’t really up to the weight of them. I also have three desks, which is ridiculous I know. My first is the desk I had as a child. It’s obviously too tiny for me and it’s falling to bits but I’m just too attached to it to get rid of it. It’s the desk that I wrote my very first stories on. 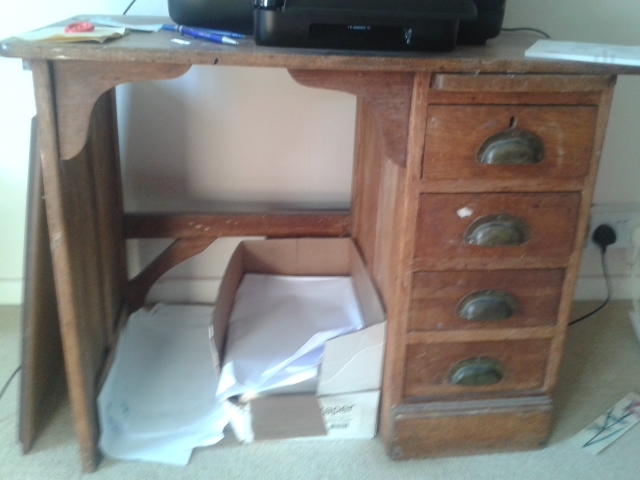 The second one is a cheap second-hand bureau that I bought when I was desperate for something to write on and is now loaded with papers and diaries. The last one was donated to me and is a proper lovely oak computer desk. One day I’ll have beautiful streamlined bookshelves and just one desk, but a little part of me has the superstitious feeling that might be the day the creative juices stop flowing. I work every day unless I’m away promoting except I try and take a day off at the weekend to reconnect to family and recharge my batteries. I find the earlier I start the better. If I’m still fiddling about answering e-mails or reading notes by midday that’s the best of the creative day gone. I carry on until around mid-afternoon when I go for a walk – writing is so sedentary it’s pretty essential. I often wake in the middle of the night and that’s a fruitful period. I look at the ceiling and think about the narrative and what’s next and just hope to goodness I’ll remember it in the morning. I tend to know the beginning and end before I start, then I’ll write a very rough first draft fairly quickly. Then begins the long, long process of editing. I can’t say how many times I edit because it’s just so many. It doesn’t feel like a choice really. I’d write even if I weren’t being published. I just seem to have this compulsion to make up stories in my head – I don’t think that’ll ever stop; it’s always been there! I watch a lot of films and am influenced by them as much as I am by books. 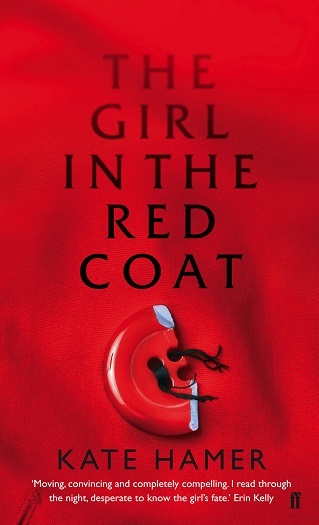 I think the red coat has a wider resonance than my novel – it brings to mind films such as Don’t Look Now and Schindler’s List and that was quite deliberate. I first saw Don’t Look Now when I was quite young – about thirteen – and its imagery and haunting atmosphere stayed with me for a long time. The work of both Gillermo del Toro and David Lynch appeals to me for their narratives and visual qualities. I also recently saw a 1976 Spanish film called Cria Cuervos which also features an eight-year-old girl and really captures the atmosphere that I was trying to create in the novel. It’s quite strange when you see something after the event like that. Facing the uncertainty of it all I think. When worried thoughts creep in I do my best to send them packing. That it’s all right to have confidence in your work. That those ideas that seem the most on edge – the weird ones that seem too exposing – those are the best ideas you have. Just to keep on writing for as long as humanly possible. Hilary Mantel, Rose Tremain. The mid-twentieth-century writer Elizabeth Jenkins. Maggie O’Farrell, Helen Dunmore, Alicia Erian, Nicole Krauss. A new discovery is the Scottish writer Lisa O’Donnell – fabulously vibrant writing. WHICH FEMALE AUTHORS WOULD YOU LIKE TO SEE INTERVIEWED ON WORDMOTHER NEXT? Rebecca Whitney, who has recently published The Liar’s Chair, and Hannah Beckerman, who wrote The Dead Wife’s Handbook. Not only are they great books, both do a lot to shout about female authors. Lisa O’Donnell – I’ve just finished The Death of Bees and loved it. Ha! That 4th desk made me laugh. A room stuffed with desks – for 1 writer. Sounds great! I loved the four desks, too. Thanks for this interview. This is a general question, rather than a response to this interview in particular – I hope that’s okay! Please delete if not appropriate. I adore this site: it has pointed me towards so many great books I’d never have discovered before, and shed new light on some favourite authors. One thing I always wonder about as I read the interviews, though, is the material side of things: how female writers pay their bills, keep a roof over their heads, and still find time and mental energy to write. A very personal topic, I know! But maybe no more personal than the other questions. And the question of the need for an income and a place to write — 500 pounds a year and a room of one’s own! — has been such a vexed one for women writers since long before Virgina Woolf summed it up so eloquently. As a reader and writer, I would be interested to hear from published female authors about how they manage this side of things (whether through other paid work, or income from writing, or a supportive partner, or whatever it might be). This isn’t a criticism of the site at all, and obviously you can’t cover everything. But I just wanted to put this out there as something else readers (well, this one at least) might be interested in. Many thanks again for this wonderful site. Thanks so much for reading and taking the time to share your thoughts. I agree that’s such an important topic, and one that so often comes up. I have to say that in the 6 months I’ve been doing this, I’ve really only encountered a small handful of writers supporting themselves solely by writing, and they tend to be Americans writing commercial fiction series or writers who have had their books made into successful films. There are a fair few who have won big prizes or received helpful grants, but of course that’s not something you can rely on due to the unpredictability of such awards. In my experience, the majority seem to support themselves through teaching, editing, doing school visits etc. and most of them mention these additional jobs in their interviews. Some also have part-time jobs or second careers completely unrelated to writing. And many do refer to the challenges of financial sustainability when I ask them what the hardest part of what they do is. So I think it’s largely a case of reading between the lines, although some writers are happy to be totally transparent about income and try to stimulate discussion around what a writer should earn. 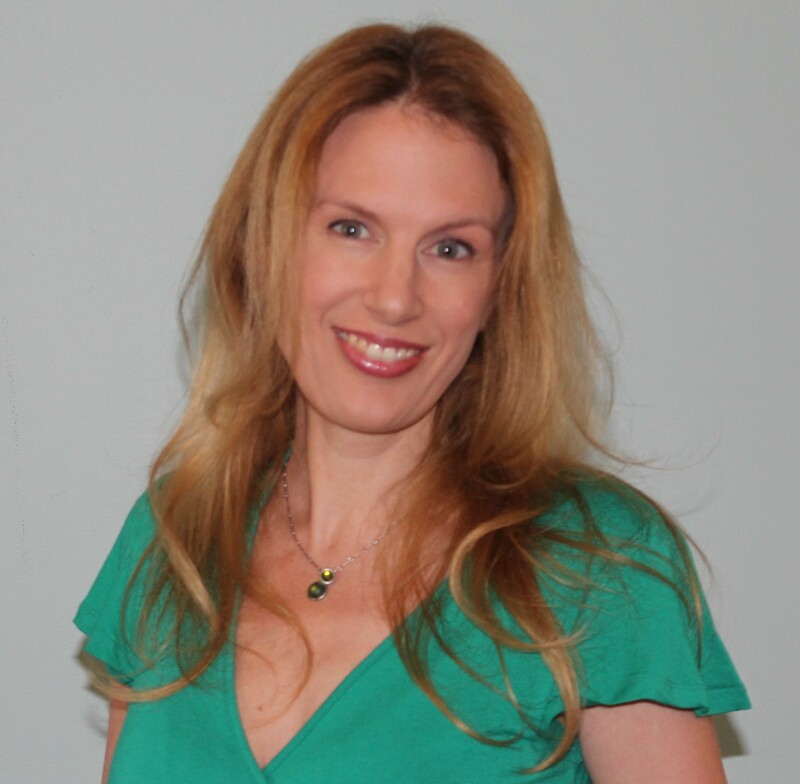 Annabel Smith has a wonderful blog post on that topic – I’ll find a link for you! I should add that in terms of finding time and mental energy, I seem to have an awful lot of interviewees who get up early and start writing as soon as humanly possible – before life uses them up during the daily grind!